There are many different types of countertops available for kitchens and baths and many today are made from natural materials, man made materials or a combination of the two. Granite is a natural stone. Granite comes in a variety of colors and it’s price relates to it’s attributes, often the rarity of it’s color and/or pattern. Due to this rarity-based pricing, relatively uniform-looking and common granites can be found fairly inexpensively compared to their rare counterparts. 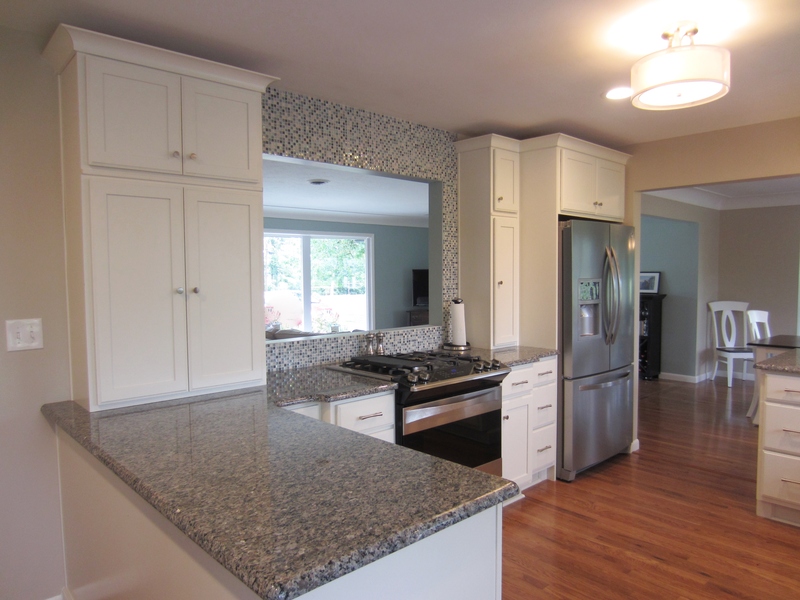 Granite is often cut with a 1/2″ thickness, helping to keep costs down. (In the past, granite was often cut in 1″ thickness which is why it was a more expensive option in the past.) Due to granite being a natural stone it is very hard and can be very heavy, sometimes requiring extra support for the cabinets. Granite deals very well with heat and cold but it can be scratched and stained, it also is very porous, which is why it requires regular sealing. Quartz countertops is a natural stone product that is composed of quartz stone and filled in with some kind of resin to make it non-porous and therefore, anti-microbial. 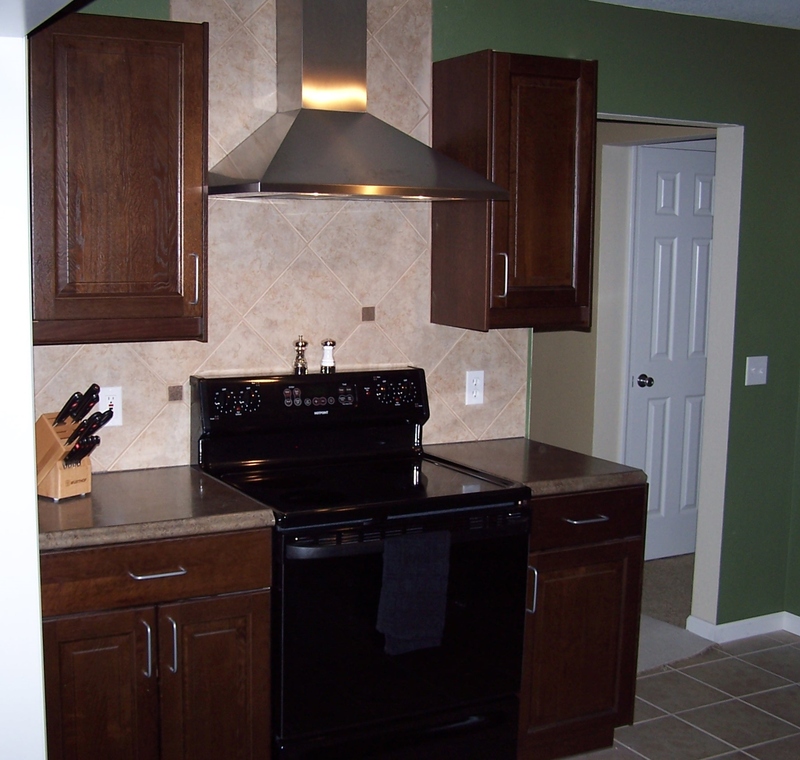 Quartz is incredibly durable and very resistant to heat, scratches and staining. 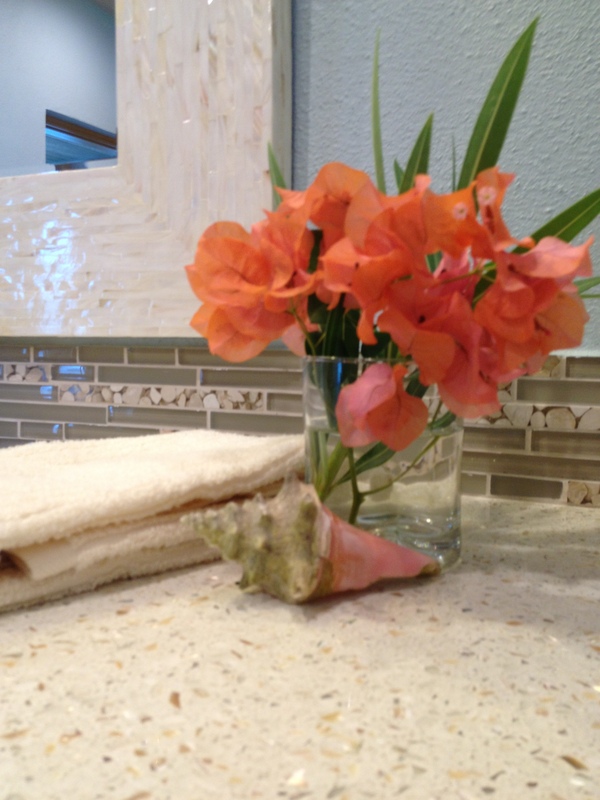 Quartz is available in a wide variety of colors and particulate patterns from small to large. Quartz countertops are often on the more expensive side of the countertop options due to their durability and current popularity. 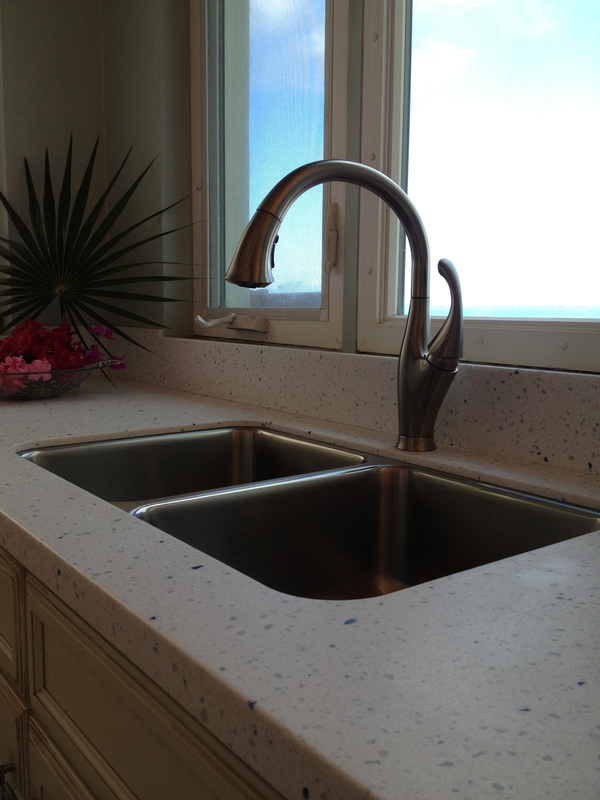 Solid Surface countertops are made from acrylic. Solid surface is very easy to clean and is non-porous meaning it does not need to be sealed. Solid Surface comes in a wide variety of solid colors as well as patterns modeled after natural stone and concrete textures. Solid surface countertops are less resistant to heat than other countertop types as they can melt or scorch from something like a very hot pan. For a space like a bathroom, this is suitable because sinks can be molded to eliminate a lip or edge for easier cleaning. 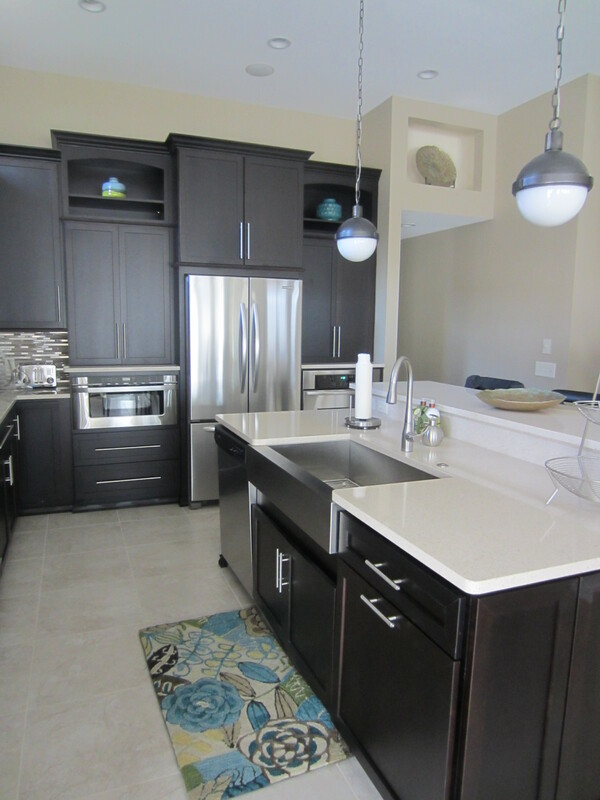 Solid surface countertops can range in price but are typically more affordable than the natural stone options. Laminate countertops are a picture of a texture (eg. something resembling stone or a solid surface) on a sheet of paper attached to a thin sheet of wood. This is then installed overtop of particle board. 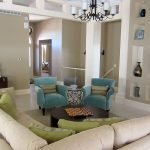 Today laminates come in a variety of sheen finishes such as the traditional matte finish as well as high gloss and textures with a “glittered sheen” that looks more like natural stone. Laminate countertops are often the most inexpensive choice for countertops and are very easy to clean. 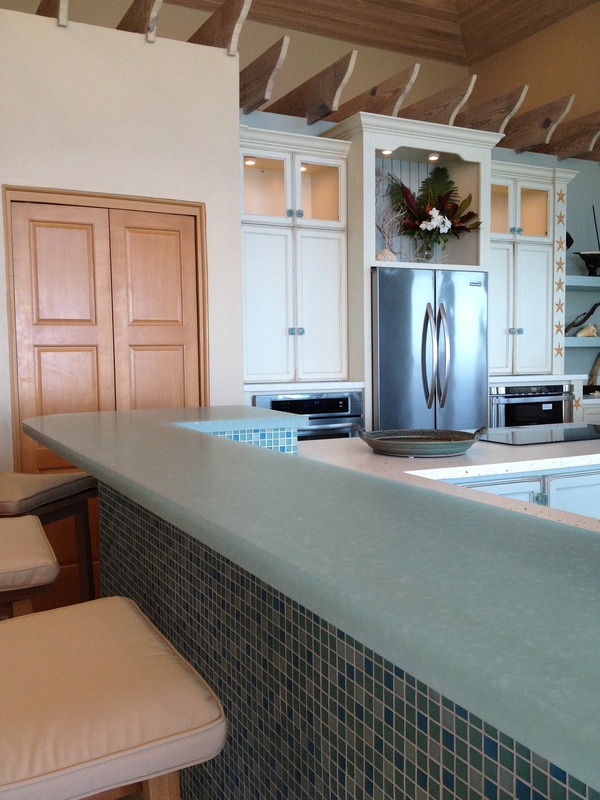 Glass countertops are easy to clean, do not stain and are typically chosen for their aesthetic properties. 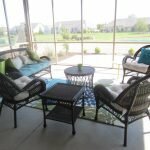 Certain thicknesses can be very heavy, so the installation would need additional supports. 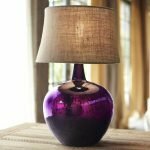 Since it is glass it is at least somewhat translucent, under lighting can be beautiful, this choice is great as a featured top! A new popular choice is recycled glass countertops which is made of small pieces of glass combined with portland cement to form a paste. Like concrete countertops it is buffed to a shine and sealed. 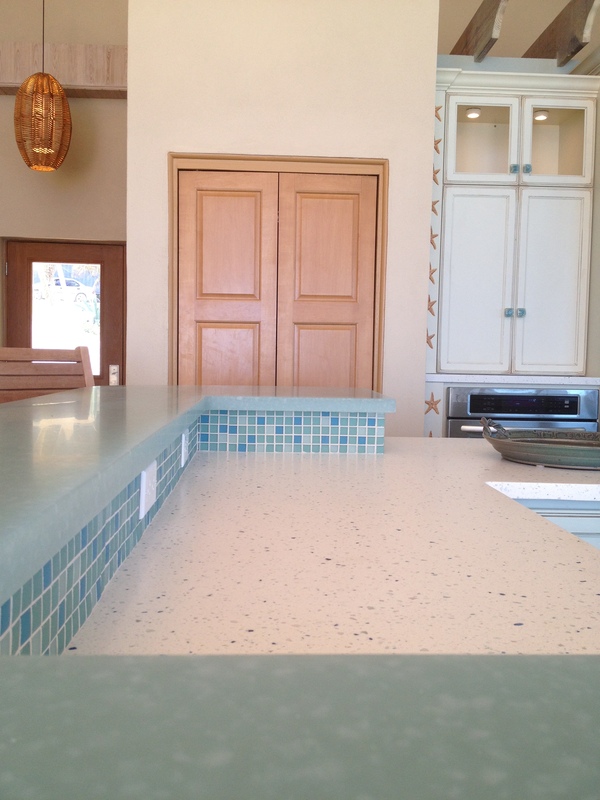 Recycled Glass countertops do a great job resisting heat and these are a perfect choice for the eco-minded consumer. To keep this post short and sweet we’ve just explained some of the popular choices today. If you want to know more about other options such as marble, butcher block, precious stones or concrete countertops let us know!